As the holiday season gets into full swing, homes and neighborhoods are beginning to brighten with lighting displays, Eversource is reminding customers about ways to get into the holiday spirit while conserving energy, saving money and staying safe. “Amid all the festivities, we don’t want our customers to miss out on energy savings that are better spent on their family than the energy bill,” said Penni Conner, Eversource senior vice president and chief customer officer. 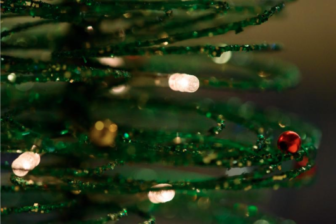 Customers can save money and protect the planet by replacing traditional incandescent lights with an energy-efficient light-emitting diode, or LED, holiday decoration. Not only do LEDs use 80 percent less energy than conventional bulbs, they’re also brighter, eco-friendlier and safer, as they are much cooler than incandescent lights. Also, be sure to check for rebates at the ENERGY STAR rebate finder. Discard all lights with (a) broken or cracked sockets; (b) frayed or bare wires; or (c) loose connections. Replace them with energy efficient varieties. Look up and stay away from all power lines. when decorating outdoors. Never raise ladders or extend objects anywhere near the lines. Never run extension cords under rugs or coil them tightly around themselves, which can cause them to overheat. Only use sets approved for outdoor use. Use advanced power strips where possible for all holiday lighting to eliminate standby energy loss. Set timers for lights to automatically turn on when it gets dark and off when you go to bed, running no more than eight hours. For more holiday lighting and electrical safety tips, visit www.eversource.com.